This event aims at a simple measurement which allows to determine the circumference of the Earth: Eratosthenes's measurement. 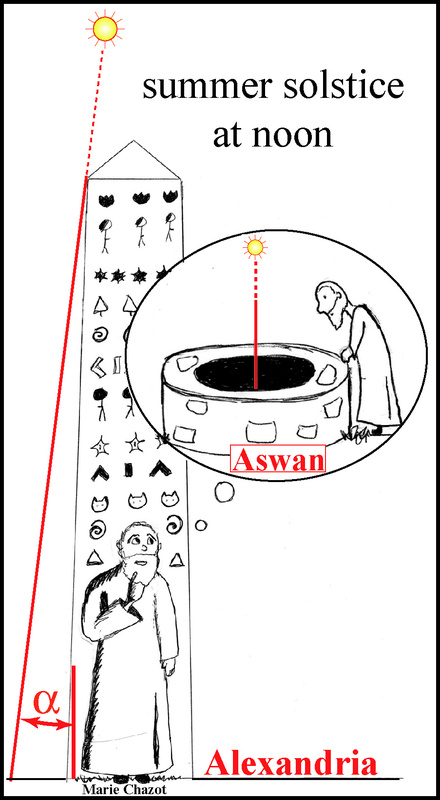 the sun was at its zenith in the city of Syene (Southern Egypt, now Aswan), so there was no shadow. Eratosthenes then measured in Alexandria the angle between the sun and the vertical. Then, knowing the distance between the two cities and assuming that, on Earth, the sun rays are parallel, he could set the earth's circumference. 2200 years later, we are going to reproduce the observations of Eratosthenes with our partners. The event in Lyon is mainly dedicated to pupils of primary and secondary schools. The students have to come with their teacher and the device they prepared for the measurement. 1) Register on the Lamap website "Following in the foosteps of Eratosthene"
Participants will also be given the opportunity to make drawings of the sun and its spots as did Galileo. 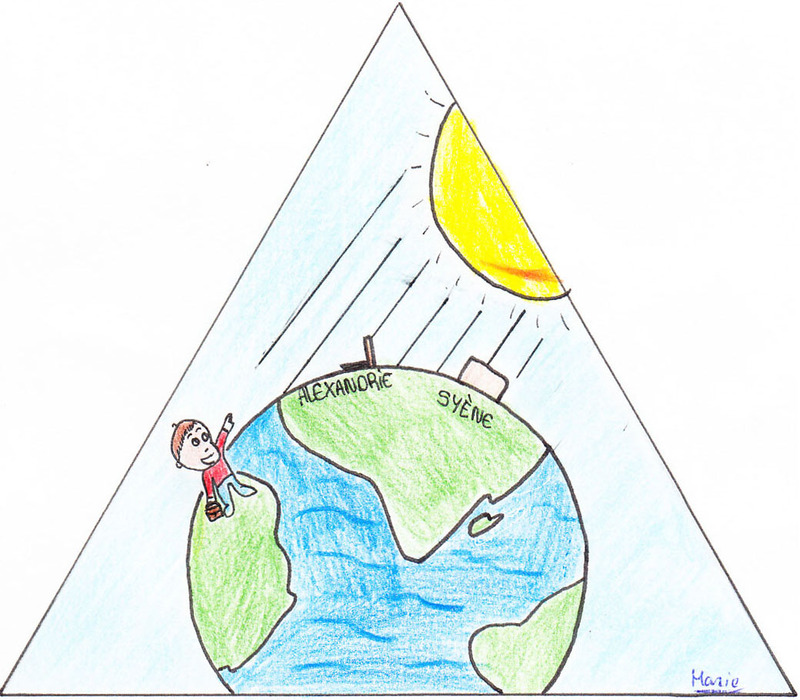 A drawing competition will be organised for scientific and artistic appreciation.